Posted by Jon in Rehomed on Friday 21/07/2017 17:36 UTC. Shod: Bare foot, regualrly trimmed. In November 2011, Brinsley Animal Rescue was contacted about a very distressing case. 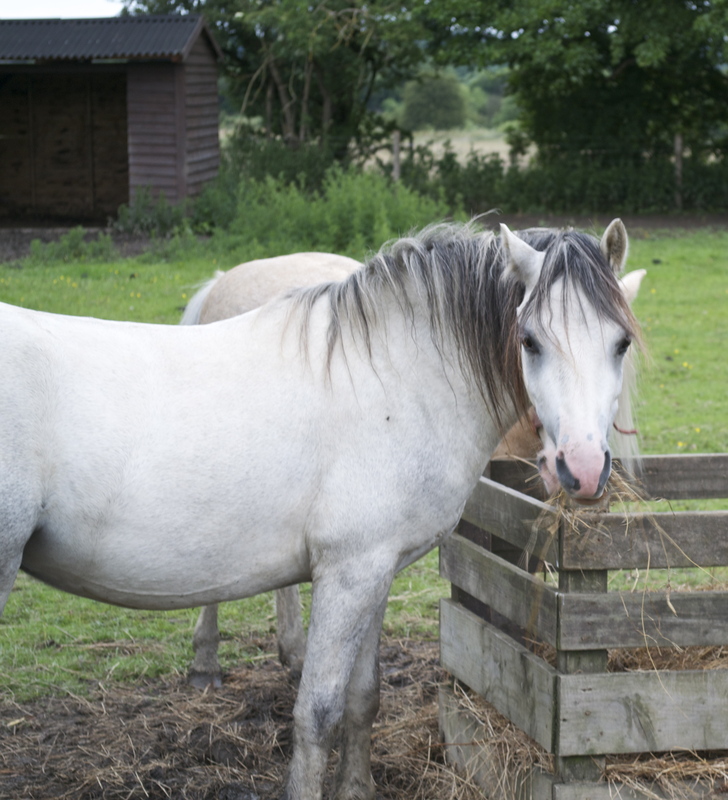 Over 60 ponies, including some mares in foal, had been found in serious neglect. Thankfully through the help of other larger organizations we were able to recover them, and the owner: prosecuted. Brinsley Animal Rescue took on two little colts - Casper being one of them. Casper is a bold and confident pony who can also be labelled as nosey! He needs to be reminded for his manners at times as he can come across as “bolshy”. Easy to catch in the field, okay to be lead and loaded; Casper can be a little sensitive around the farrier but is strangely okay with the vet and dentist! He is well behaved in traffic and really loves a good groom and fuss. If you scratch the right place (mainly the withers) he starts to smile! Casper has received all his vaccinations and is up to date with his dental. He comes with his passport and needs a home that can further on his training (to be backed) or he could make a very sweet companion pony. If you think you can offer Casper a home or would like more information then please contact us using the details below. Please note that we are not open to the general public and an appointment is needed to view. Please arrive ready for the weather with suitible footwear for fields. To help cover the costs of vetting, dentist, farrier and housing costs we ask for a minimal donation of £60, one standing payment. You will be agreeing to a loan contract, in which will be discussed in your appointment. Please bring with you photographic evidence of your set up, a home check may be carried out before adoption.